Do you manufacture equipment? 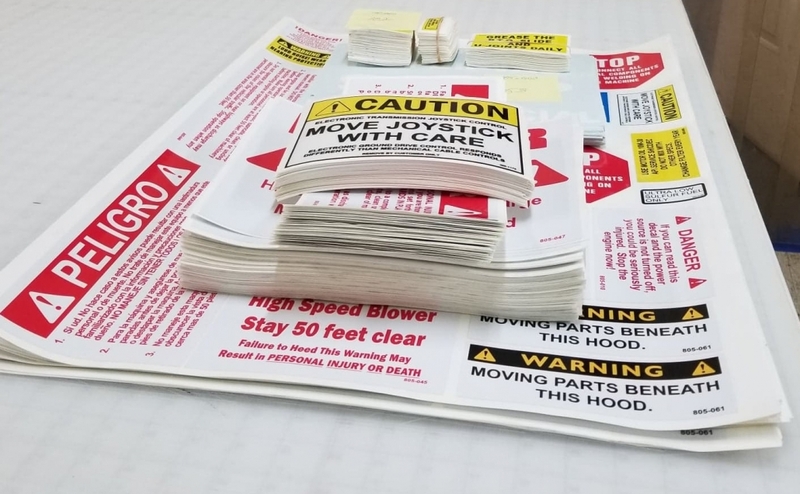 We produce custom, size specific and durable easy to apply labels for your equipment or products. From safety labels to control directions or simply the name of the machine. Our full color laminated decals apply bubble free with new air release technology. Standard laminated decal is rated for 5-6 years out doors. Premimum is 8-10 Years. At Millers Graffix “We’ll get you noticed!”. Bumper stickers are a great way to advertise for schools or clubs. At Millers Graffix we make bumper stickers! Our most popular full color laminated decal will look great outdoors for around 5 years. They can be die cut into your custom shape or simply made in traditional rectangles. Our full color laminated decals apply bubble free with new air release technology. Show off your club or school spirit today!